For rentals: prices are excluding VAT and transport and insurance, excluding installation, dismantling and for the expected useful life of the estimate, according to the tariff. Any use above this duration will be of special agreements and additional invoicing. Date and material restitution schedule are mandatory and any delay will be charged according to the tariff. All orders must be placed in writing and accompanied by a deposit, unless otherwise specially agreement and subject to the availability of equipment at the time of receipt of the order. The benefit of the order is personal to the ordering customer and can not be sold without the agreement of SAS France GOURMET 81. The total or partial cancellation of an order will be equivalent to billing at least half the amount of the canceled order, never be less than the costs already incurred at the time of cancellation. If you cancel less than 72 hours before the sale or rental delivery, canceled part will be due by the ordering customer and charged in full. The fare will be applied for the delivery and collection at the rates in force. Any unexpected handling the initial estimate and any waiting time will be subject to additional charges. To order, an amount guaranteed is charged to the client as a security deposit which will be returned to him after an inventory at the return of the equipment and / or topping, the proper operation of the equipment, and after receipt of invoices, unless otherwise special agreements. The ordering customer must be present during the delivery and return of the rented equipment. He acknowledges receiving the equipment in good condition, able to operate in good standing with hygiene and safety standards in force. The ordering customer agrees to return the rented equipment, sorted by category, and packaged in their protection, tubs and original carts. A contradictory inventory will be made to the provision and return of the rented equipment. The customer client must attend to sign the inventory. If no signature, no challenge will be accepted and only the inventory of SAS France GOURMET 81 shall prevail. The equipment will be returned only considered to have been a joint inventory or, if ordering customer of the refusal of an inventory from the SAS 81 GOURMET France alone. The ordering customer agrees to use the leased equipment in accordance with its usual purpose and not make or let that could damage them. It will provide especially the electrical system with the necessary power in accordance with the regulations. The use of candles is prohibited on tables. Just as it is forbidden to write on the sheets and towels. For any burn or indelible stains on the sheets or towels will be charged (see price rental). The ordering customer certify able to use the rented equipment itself or through authorized persons properly qualified. Any changes or modifications may be made to the rented equipment. Throughout the period of availability, the customer client must maintain the rented equipment and to protect against any damage, vandalism, overload, bad weather, rain, wind, snow, frost ... Customer the contractor is entitled to compensation in case of interruption of operation of the leased equipment. The damaged or unreturned equipment will be charged to the ordering customer to its full replacement value plus an allowance to cover the unavailability of equipment. The ordering customer is solely responsible for the material that has been rented to him and can not in any case broke rent. The return of the rented equipment will be at the date of the delivery. An invoice is issued and delivered either on delivery or after the end of the execution of the service including the return and control equipment. Invoicing is the order of the originator and the beneficiary can not be altered without the prior consent of the provider. Unless otherwise agreed, payments shall be made in euros and the settlement date indicated in the invoice. In case of delayed or deferred payment is a payment under this section not the mere delivery of a bill of exchange or a check implying an obligation to pay, but its receipt at the agreed date. In case of late payment, SAS France GOURMET 81 may suspend any current benefits without prejudice to any other action. Any amount not paid on the due date on the invoice entails the application of late penalties attached to particular conditions. SAS France GOURMET 81 reserves the right to offset current bills with the money in his possession, of any kind, paid by the ordering customer (deposit check for example). Unless otherwise agreed, an SAS France 81 GOURMET hears grant any discount for early payment. SAS France 81 GOURMET reserves the right, at any time, depending on the risks involved, to cap the overdraft of each client and to require some time to pay or certain guarantees. This will be the case if a change in the client's ability in his profession, or an assignment, lease or put in pledge or contribution of its business to an adverse effect on the customer's credit. The rented equipment remains the property of the SAS France GOURMET 81 to full payment of principal and interest, and is binding on the creditors in case of insolvency. These general trading conditions can not cause any assignment of intellectual property rights that can be implemented for the requested service. The equipment and software documentation and technical information or any kind belonging to the provider are and will remain the exclusive property of SAS France GOURMET 81. Subject to prior agreement, the customer authorizes France SAS GOURMET 81 to include in its commercial documents in any form whatsoever as a commercial reference. Each party will guarantee to the other confidential information of any nature whatsoever, written or oral, which it has knowledge to draw from the command and not be disclosed to persons other than those who are qualified to know the content under controlled realization. The leased equipment remains the property of the GOURMET SAS France 81, the tenant agrees not to let it enter by one of the creditors. However, the transfer of risk occurs upon delivery. Responsibility and physical and legal custody of the materials are transferred in their provision. The customer assumes the customer keeps under his full and sole responsibility. It will subscribe to its expense an insurance contract to ensure its responsibility during the time he has custody of the facilities and equipment. The ordering customer, as the organizer of the event during which SAS operates 81 GOURMET France must include caring for obtaining all necessary authorizations for services ordered, to ensure that the premises are available and accessible without difficulty of any kind, and get its insurers any warranty extensions. The ordering customer is responsible for transmitting the safety instructions on the intervention of France SAS GOURMET 81 in accordance with Decree No. 92-215 of 20/02/1992. The customer agrees to indemnify SAS France GOURMET 81 against any claims and / or claims of some kind that could be exercised by staff or by any third party in connection with the delivery, mainly because of all damage to property or person caused to the customer or any other person acting on its behalf or things which he has custody. He agrees to indemnify SAS France GOURMET 81 all damages, losses or expenses resulting from such use and / claim. No claim of the ordering customer will be admissible beyond a period of 48 hours after the end of the service. No compensation may be claimed from the SAS France GOURMET 81 for loss of use or any commercial problems, regardless evening the cause or origin. 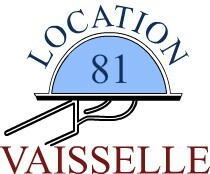 In case of dispute, the Tribunal headquarters of SAS France GOURMET 81 shall have sole jurisdiction. This applies even in summary proceedings, claims or multiple defendants or guarantee call. - A lump sum of € 40 for recovery costs under the provisions of articles L 441-3 and L 441-6 of the Commercial Code. A surcharge equal to the amount of the daily rental will be applied per day of delay.